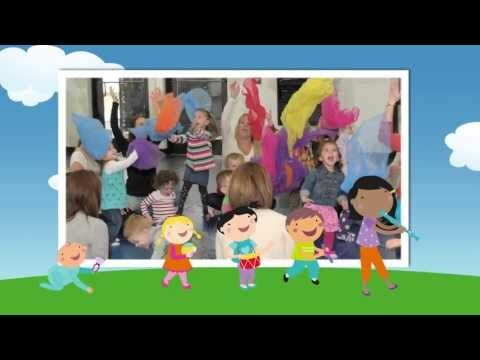 If you’re looking for a new, creative way to host a birthday celebration, consider having a Kindermusik party. While you share in the joy of the day, a trained Kindermusik professional will engage everyone in fun and music. Festivities begin with a craft to take home and a musical exploration period with materials provided by Music Connections. 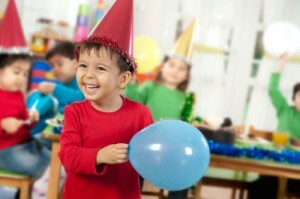 Next, the party will move into a mini Kindermusik “class,” customized to your child’s age. There are two standard themed options, or we’ll customize to fit your theme choice*. With Away We Go for your theme, we’ll do favorites from our transportation units, including the all-time favorite “Shiny Dinah” story. Or choose the Wishy Washy Wee water theme featuring activities like a musical beach ball toss, sand play, bath tub pretend play and oceanic instrument playalongs! Then, the party ends with a time for presents and cake. Recommended ages are 1 to 7, with adult participation needed for children 3½ and under. Parties can be held at our Bloomington studio at E-Free church or customized for your home party. *Princess and Pirate parties are other popular themed-options! For an additional cost, a beautiful custom made birthday cake, color-coordinated tableware and nicely packaged party favor bags are also available. For more information or to schedule a party, call us at (309) 828-6806, talk to your Kindermusik teacher or email us.